Striving to join the ranks of Asia’s other waste and recycling champions, Seoul and Taiwan, Hong Kong’s government has recently unveiled plans to cut per capita municipal waste by 40 per cent by 2022. Hong Kong’s domestic waste per capita has hovered around 1.3 kilograms per person the past few years — 40 to 60 per cent more than neighboring Seoul, Taipei and Tokyo. What’s more, local food waste in the city is almost twice that of other cities despite Hong Kong importing over 90 per cent of its food. To address these issues, the Hong Kong SAR Government has begun working on a catch-up plan with its municipal waste rates. 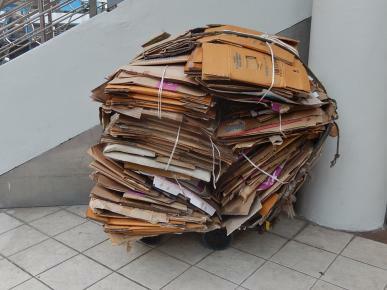 Of the 1,900 recycling companies in Hong Kong, most are small and medium ventures that face challenges with land and resources. Public education is also a big challenge to broad-scale recycling — this paired with the current lack of financial incentive for recycling, has limited recycling to only a few notable avenues. What’s more, local companies struggle with Hong Kong’s limited land area when moving resources. 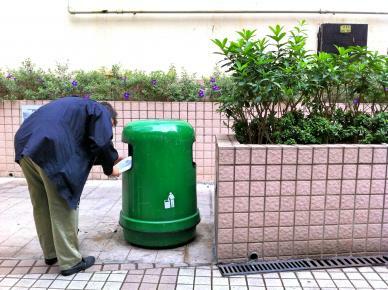 Big awareness campaigns are underway such as the ‘Food Wise Hong Kong Campaign’ and ‘Clean Recycling Campaign’, and supplemented by grassroots itiatives such as this year's Zero Waste Week that aim to facilitate public involvement with these issues. 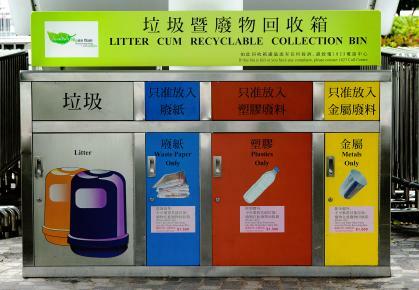 With this gamut of tools, Hong Kong seems determined to match its rivals’ waste and recycling infrastructure. Let’s hope they succeed!